Great thread, love the comments from Logo and Cap. "The advice I get from Magic, Michael and those guys, that's always sacred," Bryant said. "That's going to the mountain top and talking to Buddha, know what I mean? That's privileged information." TWC is showing a lot of tweets from Hollywood including Adam Levine, Jonah Hill, and many more. The butter is getting hard. Rasheed Hazzard, a former Lakers scout and son of late former Laker Walt Hazzard: "We always told Dr. Buss at the games that he kept my dad alive. He gave him a reason to live. That's what Dr. Buss understood. He understood people. That was his gift and why you would run through a wall for him, because he understood people and took care of people. He got Jerry West to sign [my dad] to a contract when he was about to go into open heart surgery with a chance to die. Dr. Buss wanted him to have a three-year extension just in case so my mom would be taken care of and she wouldn't have to struggle for anything. That's the kind of guy he is. A great guy. Loyal. A loyal friend and great owner. 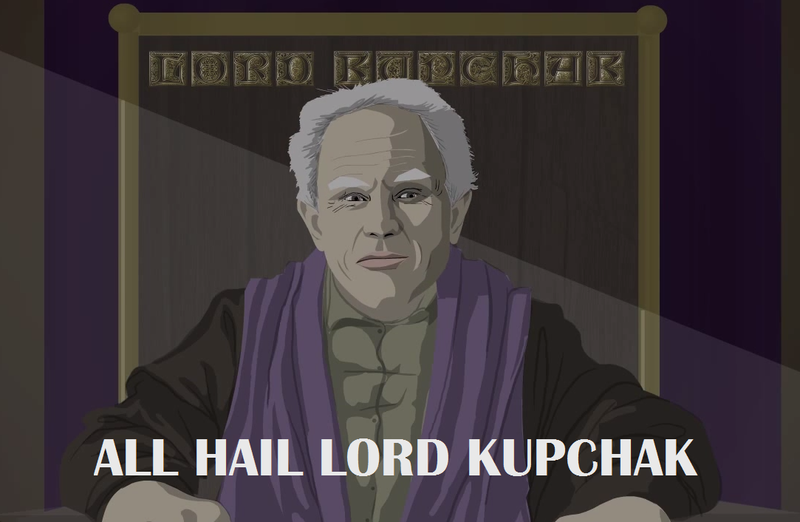 The greatest owner in sports history. I don't know if anybody can really argue that." Amazing how a guy who literally won at life, could be so generous. Damn. Wow. I had never heard about this. RIP Dr. Buss. You are already missed. Leon Rose, I think that's his name, said a similar story about his former agent Magic Johnson, where Dr. Buss helped him through his times after the HlV. My condolences to the Buss family, God bless y'all. Today we lost a very special man the legendary, Dr. Jerry Buss. I am thankful to have had the chance to meet him and will always remember him as the best owner any team could ask for. I am saddened to learn the news of his passing-he left us much too soon. My prayers go out to his family and I pray that he may rest in peace. He will live on forever in my heart. Today is a very sad day for all the Lakers and basketball. All my support and condolences to the Buss family. Rest in peace Dr. Buss. Huge loss for the @nba and the basketball world. RIP Jerry Buss. RIP Dr. The Legend Jerry Buss, one of the reason growing up in a LA was great, what you did for the Lakers & the NBA Is legendary. Wow.. Prayers go out to the Buss family! Wow just heard that Jerry Buss died. Prayers go out to the Buss family. It hurts. It hurts bad that a legend like that is gone. Jerry Buss was a visionary, a winner and a dear friend. Our city will miss him, our league will miss him and the Sterling family will truly miss him. Spero Dedes: "Rest in peace, Dr. Buss. I will forever cherish the brief visits and your words of encouragement." RIP Dr. Jerry Buss. The greatest owner in sports. You created a winning culture in LA and a great legacy. You will be missed. Los Angeles Angels:"A sad day for Southern California sports. Our thoughts and prayers go out to the Buss family and the Lakers organization." 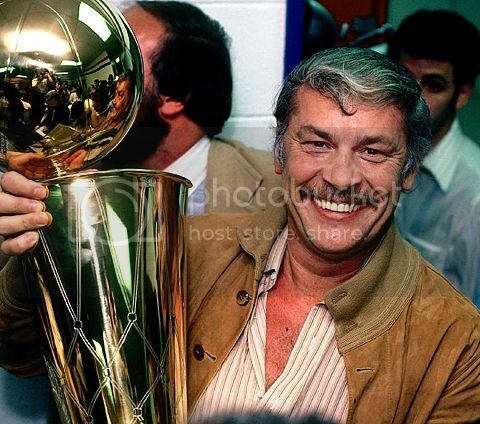 Thank you Dr. Buss for putting together some of the most soulful and exciting basketball the world will ever see. We're gonna miss you. Our thoughts are with our brothers and sisters at the @Lakers organization. Rest in peace, Dr. Buss. Jerry Buss was so cool he should be in the rock and roll hall of fame . He will be missed. Noooo RT @kirkmorrison: BREAKING NEWS- LA Times is reporting that longtime Lakers owner Dr. Jerry Buss has died at the age of 79. Ronny Turiaf on Jerry Buss, who paid for his open-heart surgery in 2005: "He saved my life." "I had the pleasure of working with Jerry closely for the last 10 years on league matters. He was a wonderful business colleague, brilliant competitor and became a good friend. Although our teams competed in two Finals during that time, the friendship never wavered. He will be greatly missed and the entire Celtics organization offers condolences to the Buss family and Lakers organization." "The passing of Dr. Jerry Buss is a tremendous loss, not only for the Los Angeles Lakers, but the NBA. I have known Dr. Buss since my brother and I bought the Pacers back in 1983, we have worked on things together as owners in the NBA and I have had the utmost respect for him. My family and the Pacers' family send our condolences to the Buss family and the Los Angeles Lakers." "On behalf of the Golden State Warriors organization, we extend our thoughts and prayers to the entire Buss family. Dr. Buss set an incredible standard of excellence that each of us strives to achieve, but few attain. His overall contribution to the league over three-plus decades leaves an indelible mark that will never be forgotten." "On behalf of the entire Phoenix Suns organization, our thoughts and prayers are with theBuss family. As an NBA owner, Dr. Buss was in a league of his own. I loved listening to his stories and appreciated his willingness to always engage in discussion and offer me positive encouragement and advice. He will be greatly missed." "Dr. Jerry Buss was a cornerstone of the Los Angeles sports community and his name will always be synonymous with his beloved Lakers. It was through his stewardship that the Lakers brought "Showtime" basketball and numerous championship rings to this great city." "Dr. Buss was our partner, our mentor and our friend. He was kind enough to allow us into his world and much of the success we enjoyed at Staples Center and L.A. Live is directly attributed to him. I do not believe we will ever find anyone quite like him. Our prayers and thoughts are with [daughter] Jeanie and the entire Buss family." I've seen nothing but love. Yeah the outpouring of support has been huge today. He's even trending worldwide... Yeah I said, worldwide. We ALL "get what we give"
Noooo RT @kirkmorrison: <b>BREAKING NEWS</b>- LA Times is reporting that longtime Lakers owner Dr. Jerry Buss has died at the age of 79. Thank you this was emotional to read. When I see "Jerry Buss, Quotes from the Other Side," I assumed 24 had a seance. dam...all these quotes really hit me ok not really crying but it does hit the heart.......i mean i never met jerry as im sure not most of us have, but the impact he had not only in the laker organization, or the nba, but in the city of los angeles was amazing....really he brought us all together because of what he did with the lakers.....jerry buss..you wil truely be missed...rest in paradise my man...now you and chick, and all the other laker legends who have past, can watch us down from heaven.....and crazy that the first game is against the boston celtics.....WIN FOR JERRY!!!! Noooo RT @kirkmorrison: <b><b>BREAKING NEWS</b></b>- LA Times is reporting that longtime Lakers owner Dr. Jerry Buss has died at the age of 79. Ditto. Thanks for posting all of those. Man, I was doing just fine until I read all of those. Not only am I sad that the greatest sports owner is no longer with us, I'm sad/scared about where the Lakers franchise will goes from here. After Chick died, a part of the Lakers legacy died. Now that Dr. Buss is gone, another big part of the Lakers legacy died as well. I never had the pleasure of meeting the man, but he's one of my idols with what he was able to accomplish in his lifetime and the manner in which he accomplished everything. Great friend, Boss and winner Dr. Jerry Buss iWill miss u, rest now....thanks 4 all u have done 4 me n my family. My main takeaway: Dr. Buss treated EVERYBODY great. He was nice to everybody at the bottom and the top, because he had been both places. RIP Dr. Buss. You changed the city of Los Angeles forever. Thank you for giving happiness to so many Lakers fans all over the world. Rest in peace, Dr. Buss. I will forever cherish the brief visits and your words of encouragement. Our deepest condolences to the Buss and @Lakers family. The @NBA lost a legend today. On behalf of the entire 76ers organization, we send sincere condolences to the Buss family and all at the Lakers. A great man has left us. R.I.P Dr. Buss you were a giant in the industry, and was always there to help and give advice. Your kindness and spirit will be missed! Jerry Buss dies at 80; Lakers owner brought 'Showtime' success to L.A. http://lat.ms/VZXfzN Sad news indeed. Thanks for the run JB, RIP. Condolences go out to the Buss family, the players & Laker nation for their loss. God Bless. Today is truly a sad day in the sports world as we have lost the winningest owner in American team sports history. RIP Jerry Buss! Learned of Laker's owner Jerry Buss death to cancer. We've lost a longtime friend. Rip dr Jerry buss my friend wow this hurts he was a great man to the city n the people of la !! Laker nation can we have a moment of silence for the doctor! #Lakers #RIP RT @NBAGuru: Truly saddened to hear of the passing of Dr. Jerry Buss. One of the great, great owners in all of sports. RIP Jerry Buss, who made those years at the Forum the most outrageous, decadent and fun time a sportswriter could have. Jerry Buss was the patriarch of Laker greatness. He was an iconic figure in Los Angeles. His contributions can not be overstated. R.I.P. So sorry about Loss of Laker owner Dr. Jerry Buss. One of the giants of our game and will be forever missed. Condolences to the family. But forreal doe... #DrJBuss memorial service had me teary eyed...the thought of losing my pops would destroy da kid!!! It was an honor and a privilege to attend the moving and inspirational memorial service for Dr. Jerry Buss today. Just left a wonderful memorial...the next statue at Staples Center should definitely be Dr. Buss. All Dr. Buss ever wanted to do was WIN and he did. Dr. Buss won 10 Championships – 5 with me as a player & 5 with me as his partner. I will always remember Dr. Buss’ big smile, his love for the @Lakers, for poker & billiards, for the City of LA and for beautiful women. Dr. Jerry Buss was a true friend and inspiring mentor who helped me achieve a childhood dream of winning a NBA title, and eventually several NBA titles. I will always be thankful to Dr. Buss for the opportunities he provided me and for all he has done for the entire basketball community. He was a visionary, an extremely intelligent and giving man who turned the Lakers into a world-renowned franchise and he was an integral part in catapulting the NBA to the level we are at now. Dr. Buss was not only an owner, but also a friend and mentor to all the players and was the reason the Los Angeles Lakers franchise became so successful. He understood that teams need talent to win and made players want to play for him and the city. He put everyone in a winning environment. Dr. Jerry Buss will be deeply missed by basketball fans worldwide, myself, my wife Linda, our children Jesse, Jordan and Ali, the Lakers organization, and the entire NBA community.